Downtown resident, 53-year-old, Lilian Vanvieldt-Gray, will be the 2018 Komen San Diego Race for the Cure® Honorary Breast Cancer Survivor. As the organization’s spokesperson through the 22nd Annual Race for the Cure on Sunday, Nov. 4, Vanvieldt-Gray credits her survival to her mammogram, treatments developed by Komen-funded research, her positive outlook and the unwavering support of her husband, family, employer, Alliant Insurance Service, and her friends. 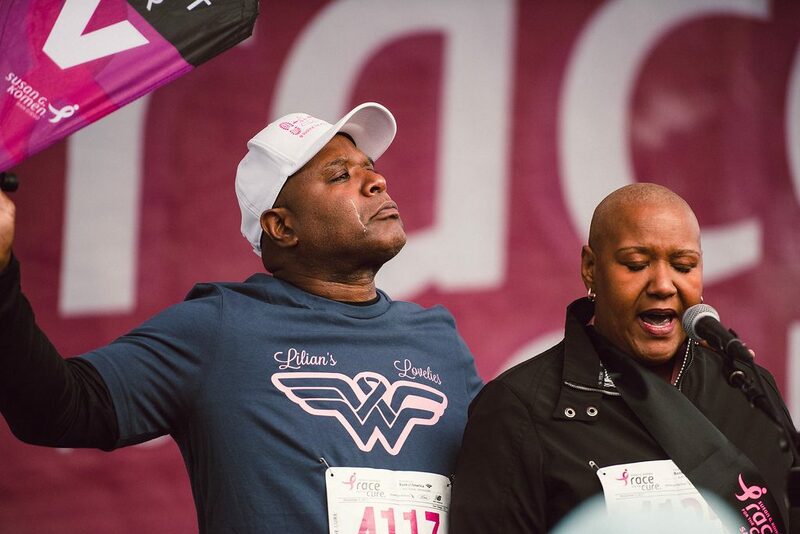 Last year, Vanvieldt-Gray’s husband, Douglas Gray, created a Race for the Cure team of almost 50 friends, colleagues and family to rally behind Lillian. They raised over $33,000 with over 160 individual donations. When asked, what’s the secret to becoming one of the largest fundraisers in Komen San Diego’s history? They chuckle and say there isn’t a silver bullet—it’s just in their salesperson nature. Komen San Diego’s Screening and Diagnostic Fund provide tests for women and men who are uninsured or underinsured and who do not qualify for state-funded programs. 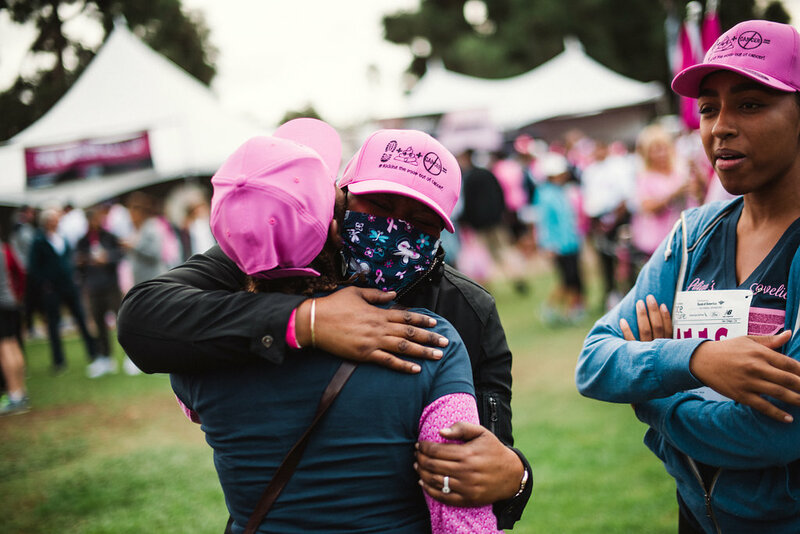 Komen San Diego’s Financial Assistance Fund supports breast cancer patients’ most critical needs during treatment such as assistance with copays, transportation, food, breast prostheses, childcare, rent, utilities and much more. Fortunately, Vanvieldt-Gray was diligent about getting her annual mammograms, but she has dense breasts, which could have kept her tumor from being detected earlier. Studies have found women with high breast density have four to five times higher risk of breast cancer compared to women with low breast density. In 2011, Komen San Diego helped pass a law in California requiring doctors to send a letter notifying patients after their mammogram if they have dense breasts. after their mammogram. Unfortunately, there are still no standard screening guidelines for women with dense breasts. However, if a patient receives this notification they should speak with their medical providers about other types of breast imaging and screening tests. Although Vanvieldt-Gray’s grandfather, father and uncles had prostate cancer and an aunt had breast cancer, she did not know that these were signs that her family could be carriers of the BRCA genetic mutation. After being diagnosed, Vanvieldt-Gray tested positive for the BRCA II genetic mutation, which unbeknownst to her increased her risk of a breast cancer diagnosis by 45 to 65 percent. In San Diego, while the breast cancer incidence rate for African American women is lower than that of Caucasian women their mortality rate is 40 percent higher. Vanvieldt-Gray finished chemotherapy and her mastectomy, and started daily radiation treatments on April 30, 2018. Komen research supported the development of Adriamycin and Taxol, the two breast cancer therapies that Lilian’s medical team are using to save her life. Since its inception in 1995, Susan G. Komen San Diego has invested more than $19 million in global breast cancer research and local breast health services. Keeping those dollars in the community, much of that investment has been awarded to scientists and research institutions in San Diego. Next to the U.S. government, Susan G. Komen is the largest nonprofit funder of breast cancer research in the world. Gray and Vanvieldt-Gray’s courage and passion will make a difference for others who are battling this disease. Location: Balboa Park; Start: 6th Ave. at Palm St.